Zayn is teasing his new song “Dust Till Dawn,” with Sia and also starring Girls‘ Jemima Kirke! 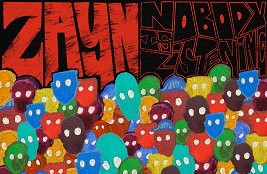 Zayn posted a teaser for the video, which features what appears to be a fun action sequence. The video was filmed by 500 Days of Summer director Marc Webb. Zayn teased the song initially this past Friday, and revealed that it will be released on September 7. Zayn and Sia are releasing a song together on September 7! 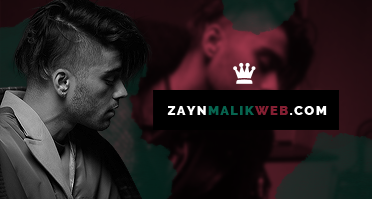 Zayn made the announcement on Twitter today, accompanied by a movie poster-style teaser. The poster reveals that Zayn‘s upcoming video co-stars Girls actress Jemima Kirke, and was filmed by 500 Days of Summer director Marc Webb. “#DuskTillDawn ft @Sia • 7th Sept,” Zayn wrote. Check out Zayn‘s “Dusk Till Dawn (feat. Sia)” teaser below. After the overwhelming success of his debut solo album, all eyes are on VMAN38 cover star Zayn Malik as he readies to release his follow-up. If you think the attention might have gotten to him, think again: music’s most in-demand superstar may also be its most humble. Over the week leading up to my interview with the elusive Zayn Malik, much of my time is spent reading up on the endless list of articles that paint him as the bad boy who broke millions of teenage hearts after leaving One Direction. While it would be a much easier story to tell you that Zayn fulfilled every post-Destiny’s Child Beyoncé, rogue boy bander stereotype imaginable, that wouldn’t be honest. The truth is that Zayn Malik is not a “bad boy” at all. In fact, he might be the furthest thing from it.